Today's show is brought to you by HelloFresh. 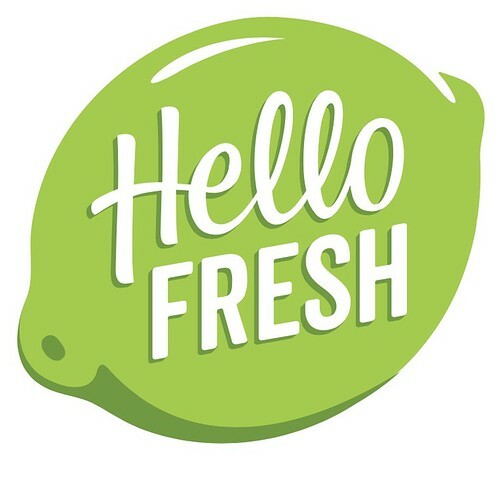 Visit hellofresh.com and use promo code “knitmore30” to save $30 off your first week of deliveries. Get ready for Spinzilla with Savage Blends by The Homestead Hobbyist. Unique and thrilling blends, beautiful color palettes, and best of all, the fiber drafts itself—so you’ll spin miles of yarn in no time. Find your favorite Savage Blend at www.thehomesteadhobbyist.com. 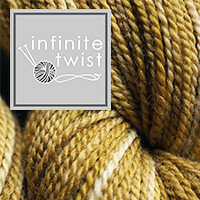 Want to sample new yarns and fibers without needing to buy full skeins? The Jimmy Beans Wool Little Beanie Bag subscription has you covered! 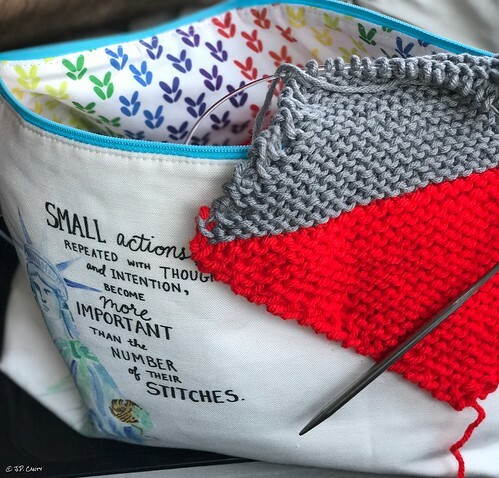 Each month you will receive a variety of hand-wound yarn samples, fabulous notions and accessories, a custom project bag, AND both a knitting and crochet pattern to put your samples to good use! And the best part? It’s only $10 a month! 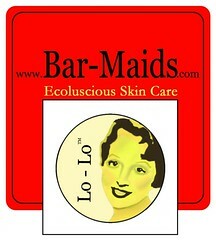 Visit jimmybeanswool.com/beaniebags for more info. The neon green, yellow, tomato red, orange, petroleum blue, dark lavender are done She is working on sapphire blue. Three more colors are left. She is knitting backwards, like Entrelac, also using German short rows. Jasmin and Genevieve have started a Welcome Blanket. It is exactly right for what Jasmin needs at the moment. They are using Berocco Comfort. Jasmin is planning to use a stair step design to attach them to avoid having to weave in a gazillion ends. Gigi went on another blocking spree. Shawls and Pop squares. We mentions the Dragon Scarf from Morehouse Merino. Jasmin suggests she call Sheila Ernst for glass eyes for the dragon. Jasmin is working on her Tale as Old as time. Gigi knitted 1 preemie hat. Need to make pompoms. Jasmin mentions the Mastering the Knits contest, and we mention the Downcellar Studio podcast. Jasmin also mentions the She Can Make podcast. Jasmin mentions the Janome kiddie sewing machine and our local Janome dealer. Gigi mentions Male Pattern Boldness. All Prizes are sent! New prize! An Erin Lane accessory bag! Cute, lovely, and perfect. This week we answer a question from the "What do you want to hear about" thread about doing kitchener in the round. One of her Pops has an extra stitch. She discovered that binding off. Jasmin and Genevieve look for patterns for HALLOWEEN COSTUMES!